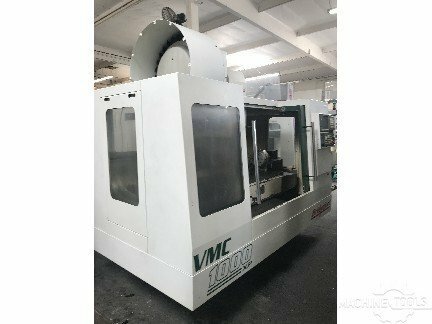 Bridgeport VMC 1000-30 2001 with: Fanuc 18i-M CNC Control, 4th Axis Rotary Table, RS232 Port, Sidemount 30-ATC, Rigid Tapping, Full Enclosure, and Coolant System. This machine is in good condition ,if you are interested ,please feel free to contact us . This is a new machine ordered by a customer and cancelled. 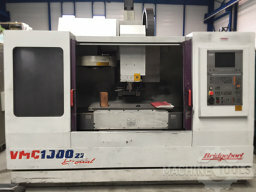 It is being sold as a used machine but with a one-year parts warranty and two- year Fanuc warranty. Parts and technical support will be available thru Campro USA in PA. This Chiron FZ 22 S Vertical Machining Center from 1996 was fabricated in Germany and has been operative for 59400 production hours. Equipped with a SIEMENS SINUMERIK 840D Control unit, this machine has mainly worked with titanium and stainless steel during the past.